This Monday is extra special as it marks the start of a new Week, Month, Quarter, Round of Yango and #NEVERMISSAMONDAY. Our team is feeling it too, because classes are PACKED!. Today we are here to lift you up, by helping you take a moment and recognize something inside you may have not realized was quite there: POWER! Yes, you have all the POWER in the world in your life to make this life what you want. Just like snowflakes, no two people are the same. And you truly are the one and ONLY person in your life that has the ability to make changes and take control of each and every day. Please do not try to pawn off that power on any other person or circumstance. EVERYTHING you need to succeed toward your goals is built right inside you. Sure, outside forces can help along your journey, but anything great you are going to achieve starts with YOU! It starts with the belief in yourself that you are worth it. The discipline within yourself to show up and put in the work. And the self respect and grace toward yourself that no matter how many times you stumble or fall, YOU CAN get back up and try again. // YOU set your alarm in the morning, and can set it to a time works for you you to get in a little “me time” as we like to call it. We love having a power hour (or half hour) in the early hours of the morning. When the house is quiet and there is a calm you won’t get the rest of the day. Starting your day with a tank full is a superpower that you are entitled to as well. It’s not easy to wake up early, but we promise, YOU CAN DO IT! And if mornings are not your jam, take that same approach for 30-60 minutes a night. Taking just 2% of your day to fill YOUR cup quite possibly might be the best thing you can do for yourself. // YOU are the one who moves one foot in front of the other, choosing where to go, who to be around and what pace to take on your life. Do certain people bring no joy or good to your world? Is your schedule overloaded to the max and leading to excess stress and fatigue. You are who you are surrounded by, so do your best to pick the people and activities that make you smile! You are allowed to say no to things and sometimes that is the best thing you can do. // YOU are the one who puts food in your mouth, likely also it’s the case that you are the one buying the food and choosing what to eat. Pick food that nourish’s your body and keeps it the well fired machine it is built to be. Feed yourself processed food and sugar, you’ll feel the effects the rest of your day. You don’t need to be a millionaire to eat real food. You are the one who gets to lead your own life. While there are obligations with work and family, there is a lot of power you have within you to make the most out of this life! You can choose to use your power to build healthy, lasting habits by nailing down an exercise habit that you truly enjoy, with a team you love and that supports you. You can choose to nourish your body with nutrient dense food and hydrate so your body has what it needs and deserves to help you feel your best and lead your best life. How are you choosing to harness your power today? Exercise is a super power! 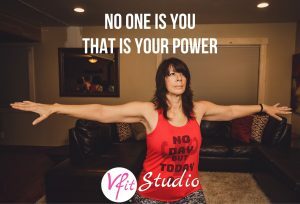 Log in to our Met Mash class on a Monday morning and we guarantee you you’ll feel like Wonder Woman after all those rounds are done. Take each round one at a time, and by the end, you hit 56 rounds of awesome! You have 56 wins! 56 times you pushed yourself, moved that body, and exerted your own power to control your day.